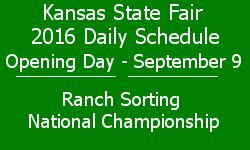 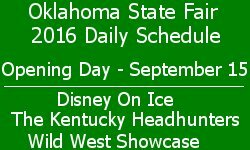 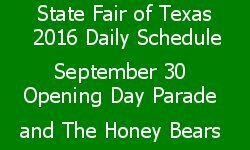 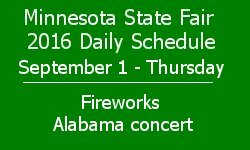 The State Fair of Texas 2016 daily schedule has September 30 Opening Day Parade, plus The Honey Bears, Auto show, Pee Wee Stampede and Rodeo, Xpogo, Music Concerts and much more. 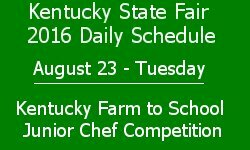 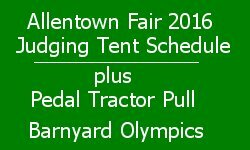 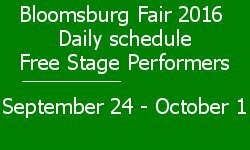 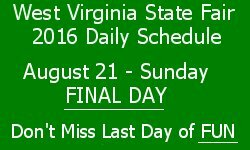 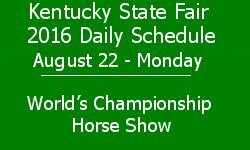 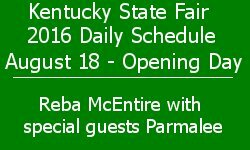 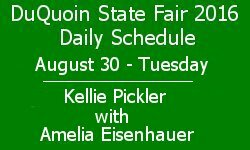 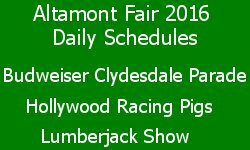 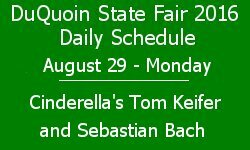 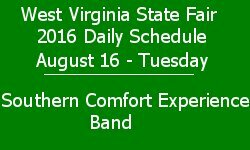 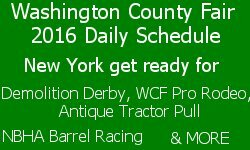 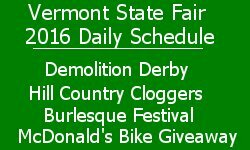 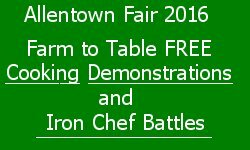 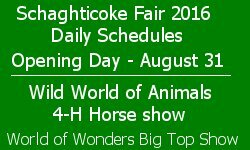 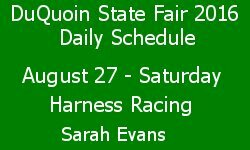 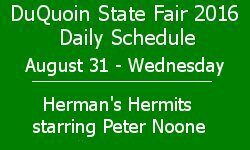 Vermont State Fair 2016 Daily schedule has Demolition Derby, Ox Pulls, 4-H Dairy Show, Muttville comix dog show, Springer Brothers, Hill Country Cloggers, Burlesque Festival, McDonalds Bike Giveaway, Horse show and much more. 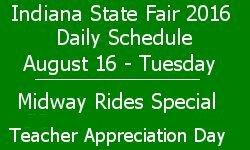 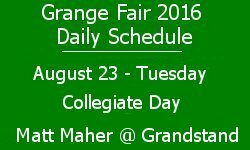 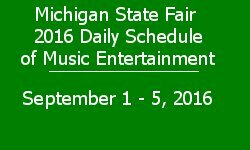 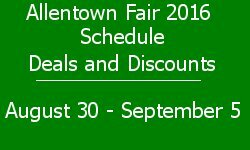 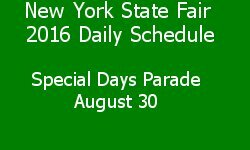 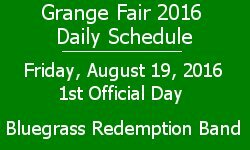 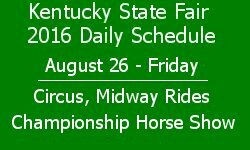 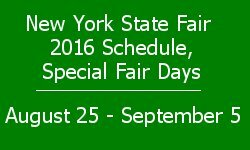 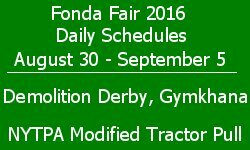 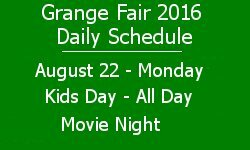 New York State Fair 2016 Schedule, Special Fair Days include Law Enforcement Day, Pride Day, Dairy Day, Senior Citizen's Day, Wade Shows Midway Monday, Women's Day, Armed Forces Day, Student's Day, Dollar Day, Grange Day, Labor Day and more. 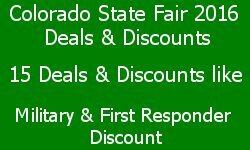 Find out when they are held and promotions available. 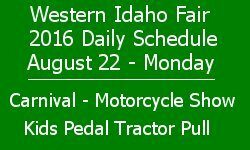 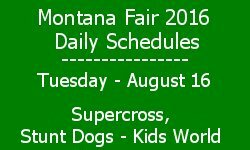 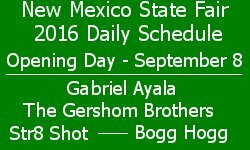 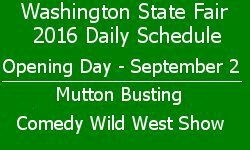 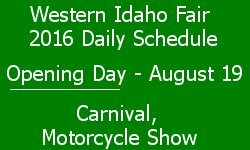 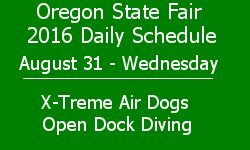 The Montana Fair 2016 Daily Schedule for August 16 has Supercross, 4-H Dog Show, Kids Pie Eating contest, Shay Hecker concert, Stunt Dogs, Coyote Wild and much much, more. 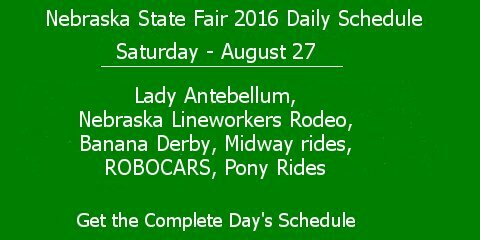 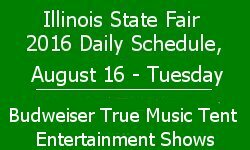 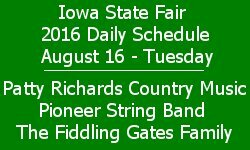 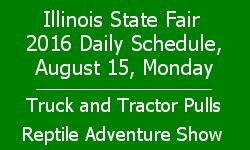 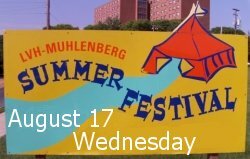 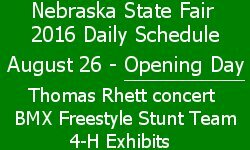 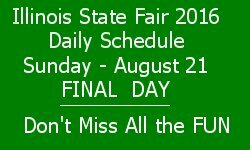 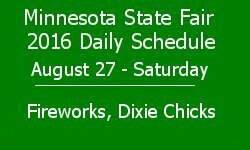 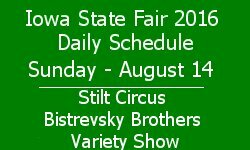 Iowa State Fair 2016 Daily Schedule for Sunday - August 14 has Stilt Circus presenting the Bistrevsky Brothers Variety Show plus Bud Light Stage Lynch Mob concert, Horse show, Ice Carving Demo, Pig Racing, Monster Arm Wrestling Tournament and much more.